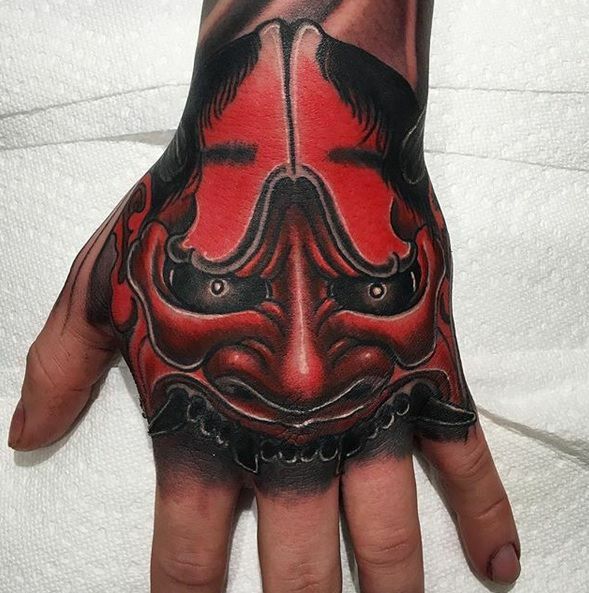 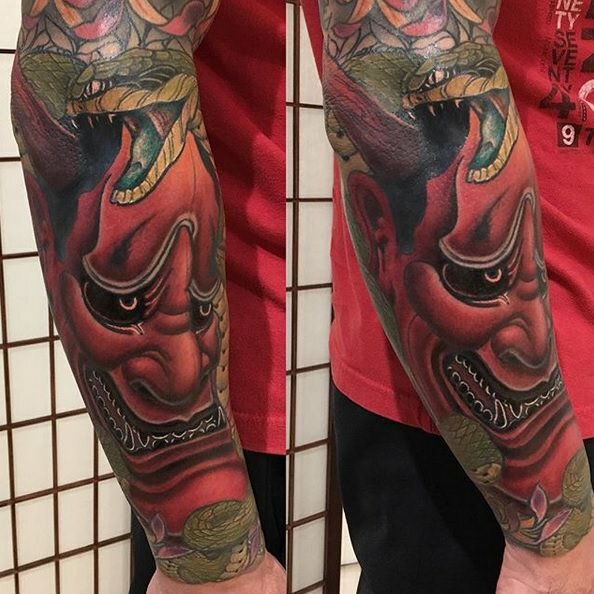 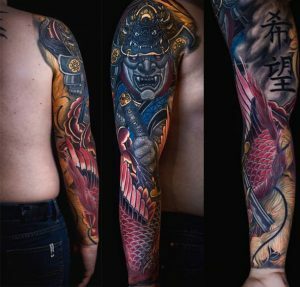 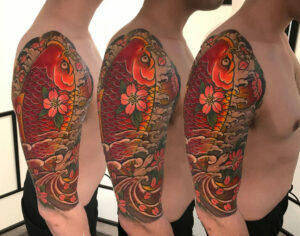 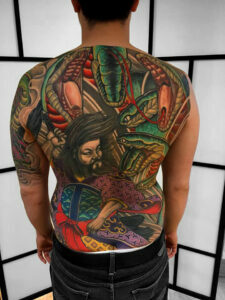 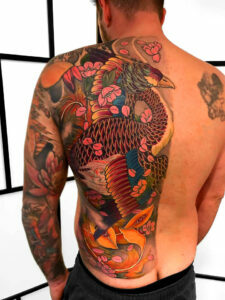 The beauty of Japanese tattoo is that everything is coded in symbols, myths and legends. 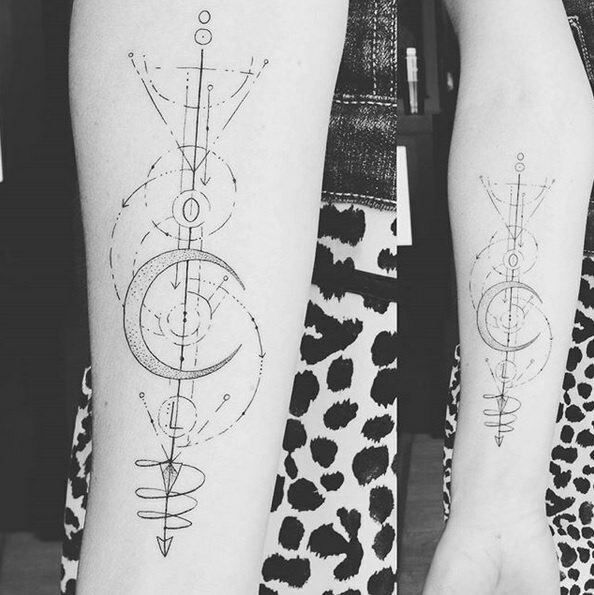 Each element has a symbolism which can create a complex story once mixed with other elements. 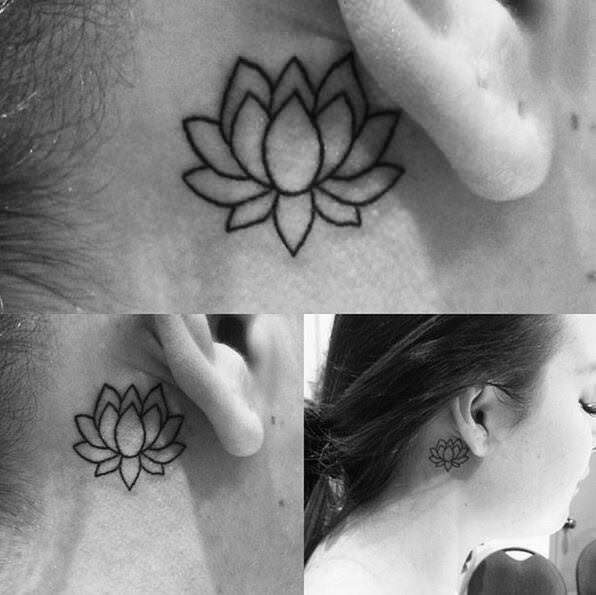 For example: certain type of flowers or animals can be used to symbolize a loved one. 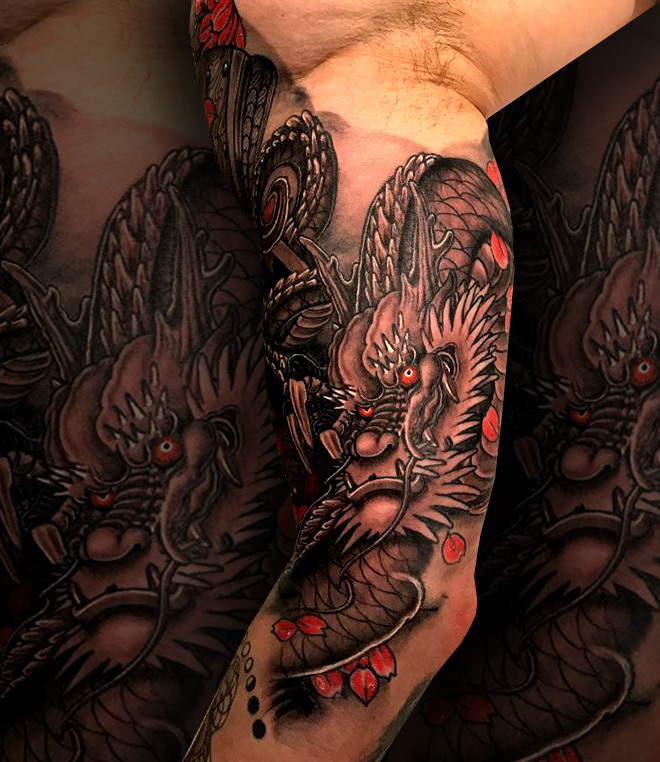 Also different stories can be used to represent certain moments in one’s life, like a dragon represents perseverance. 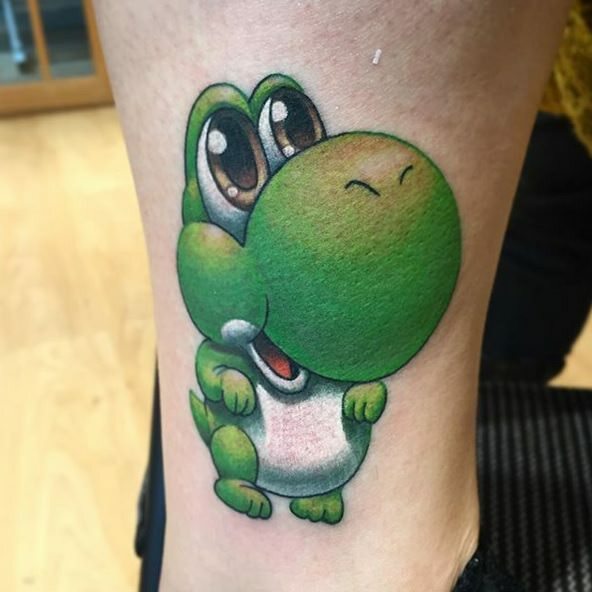 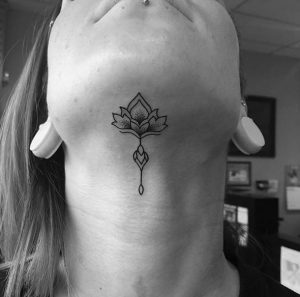 This style is typically used in a body-suit-like fashion, but it can also be done in a smaller and simpler tattoo. 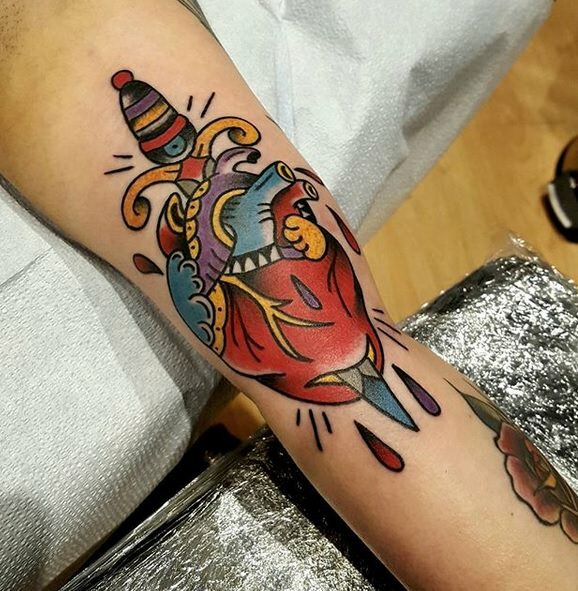 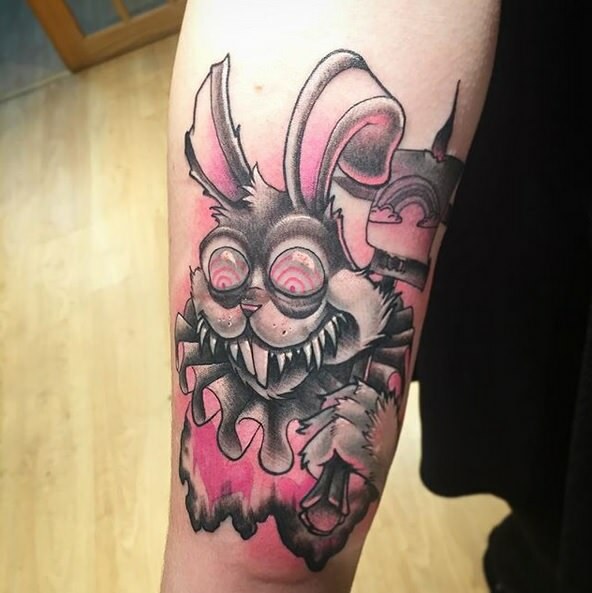 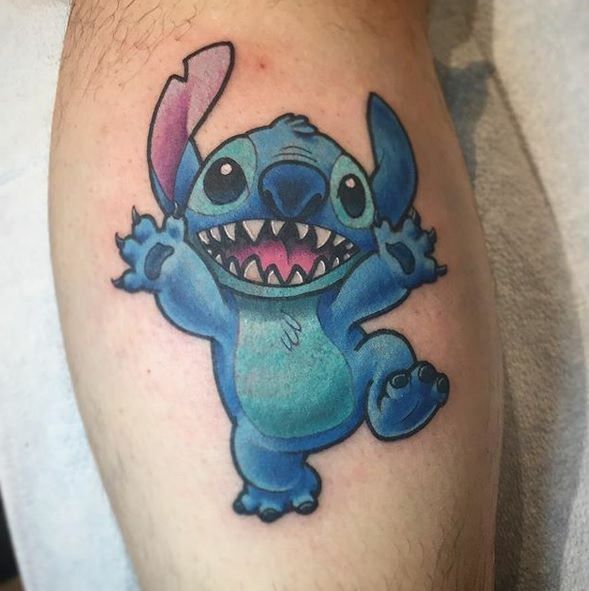 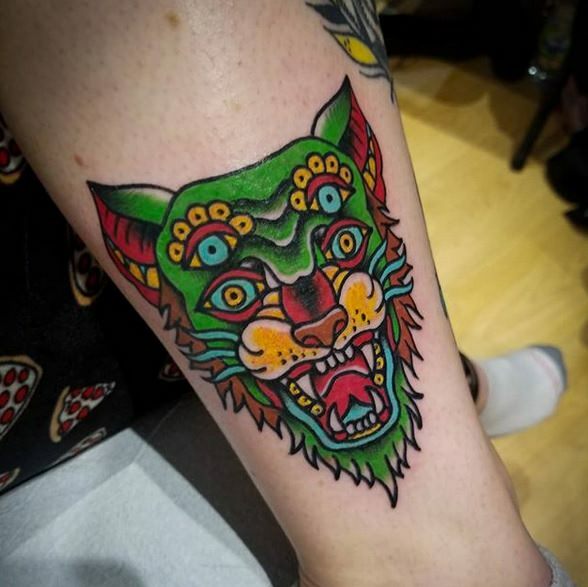 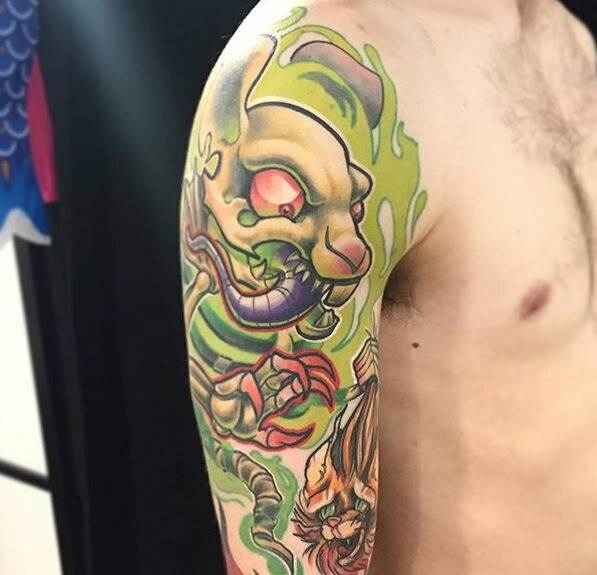 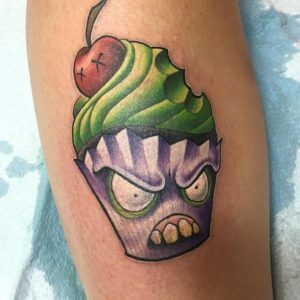 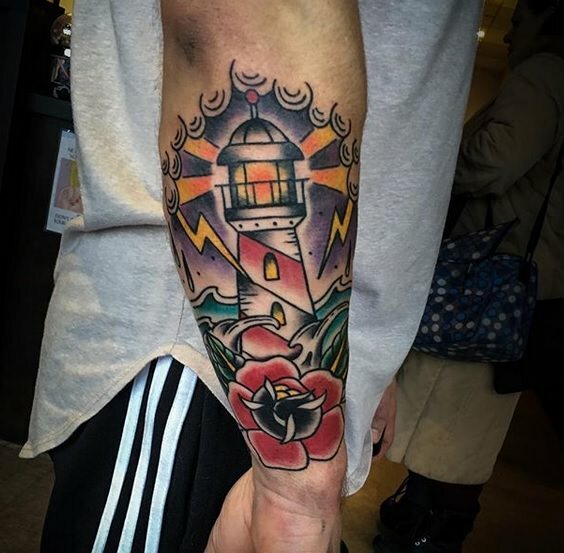 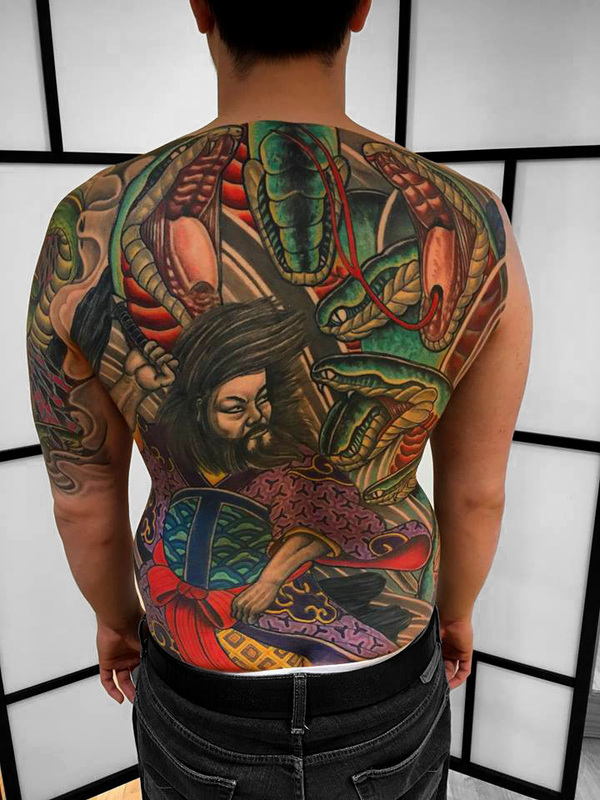 This style has been influenced by Traditional tattoos and is more focused on a caricatural aesthetic by mixing exaggerated proportions with the use of a bright and vivid color palette. 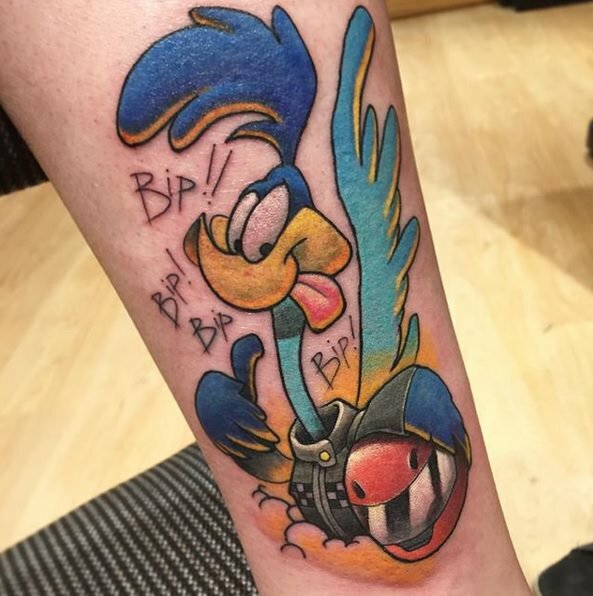 There’s a lot of graffiti, comics and an overall cartoonish approach. 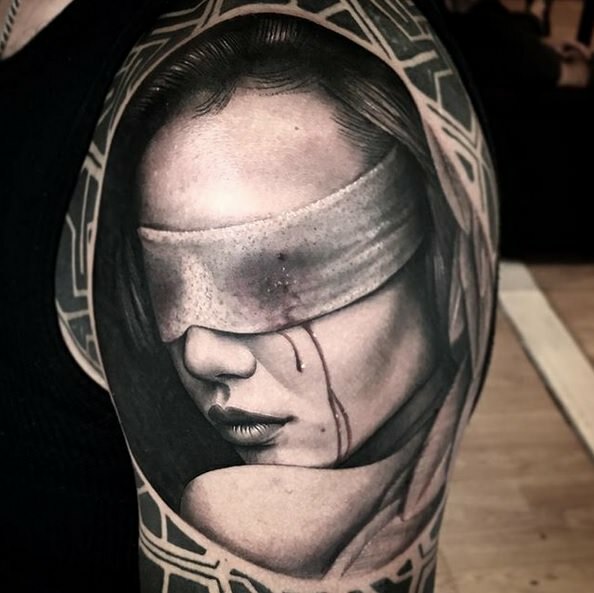 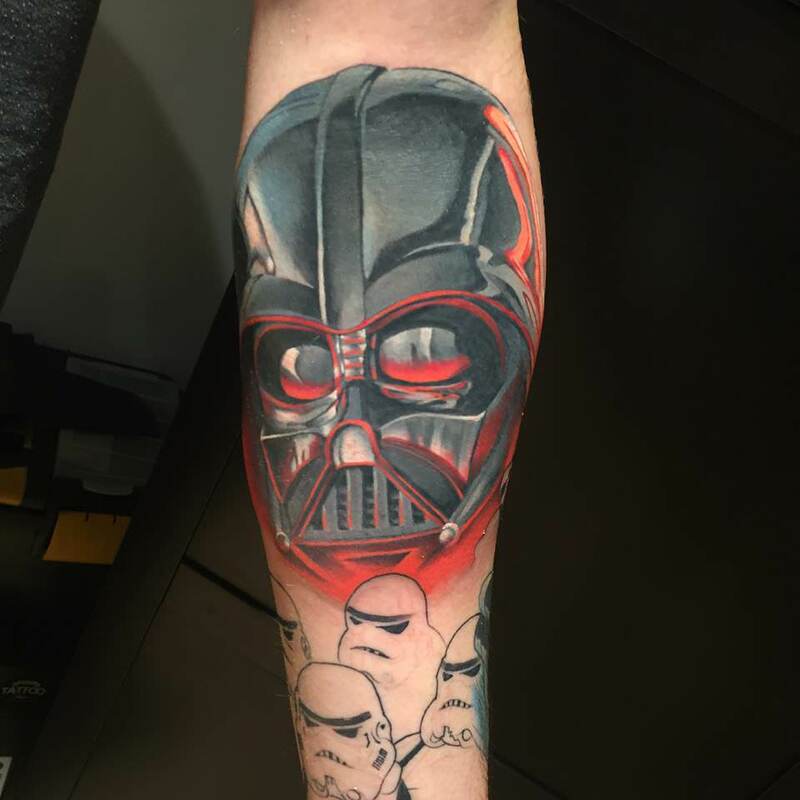 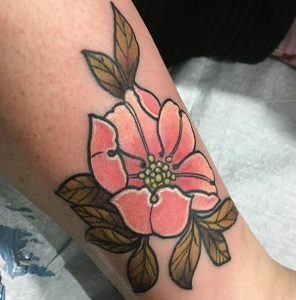 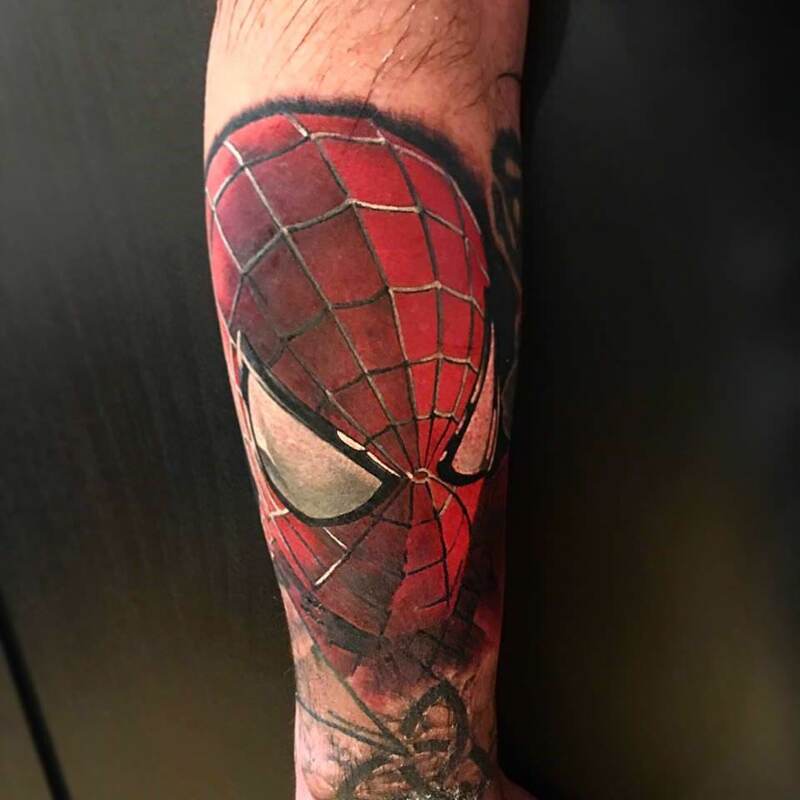 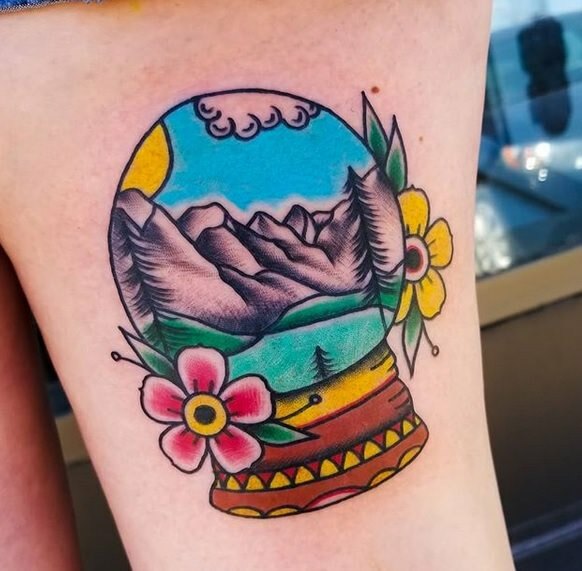 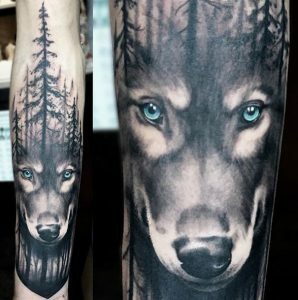 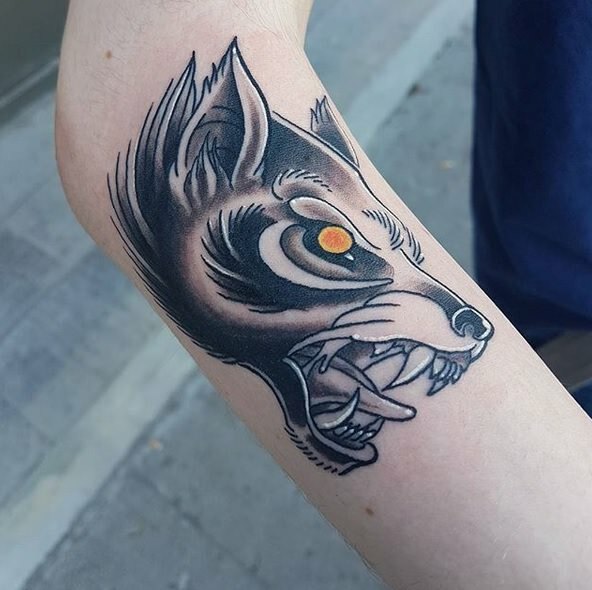 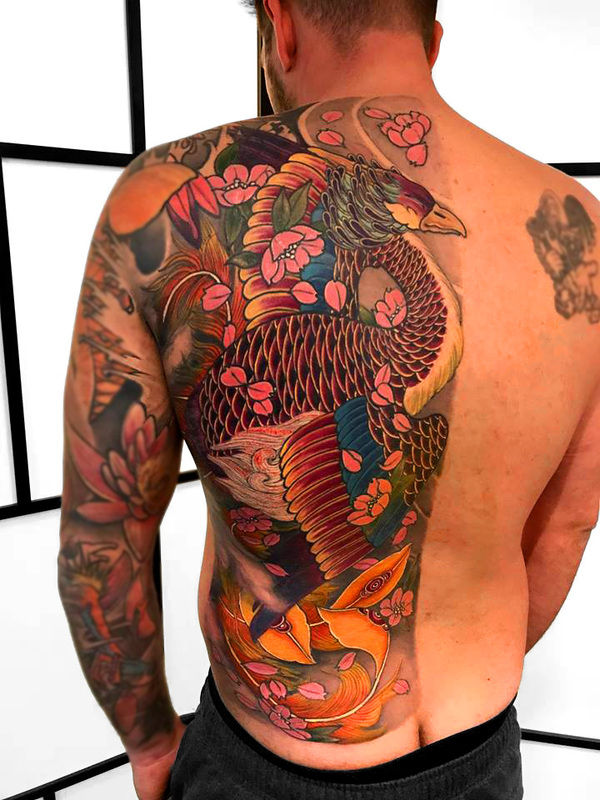 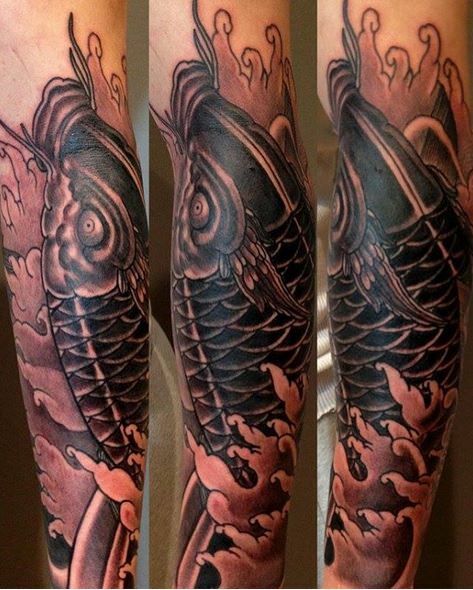 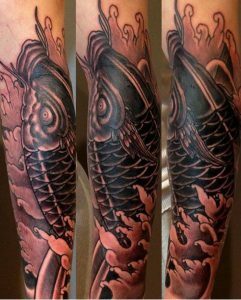 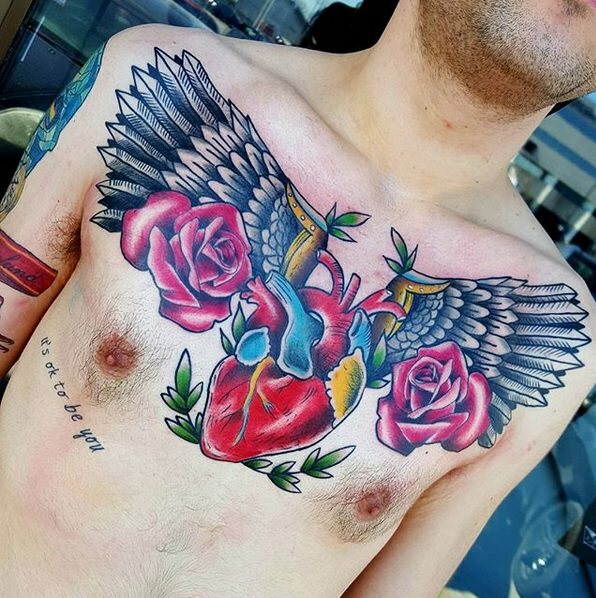 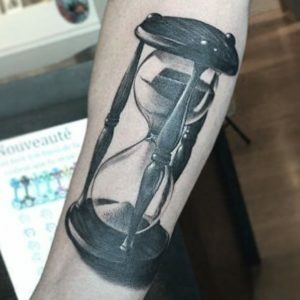 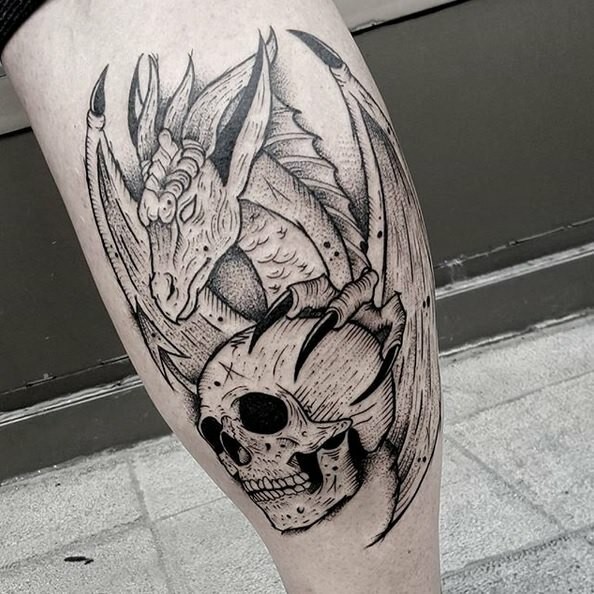 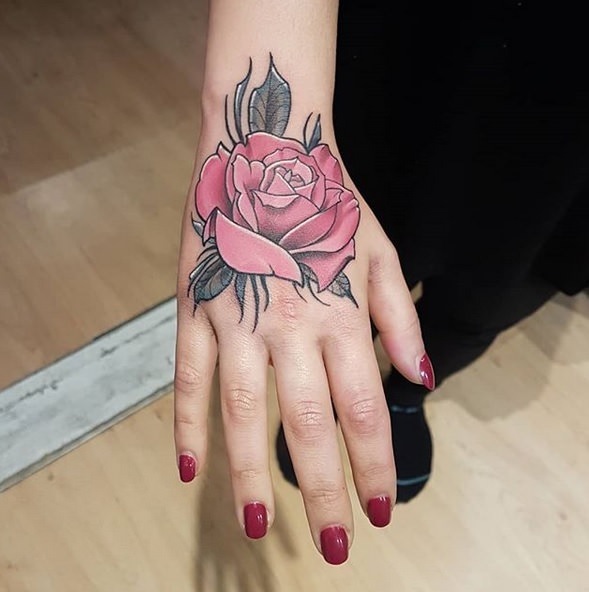 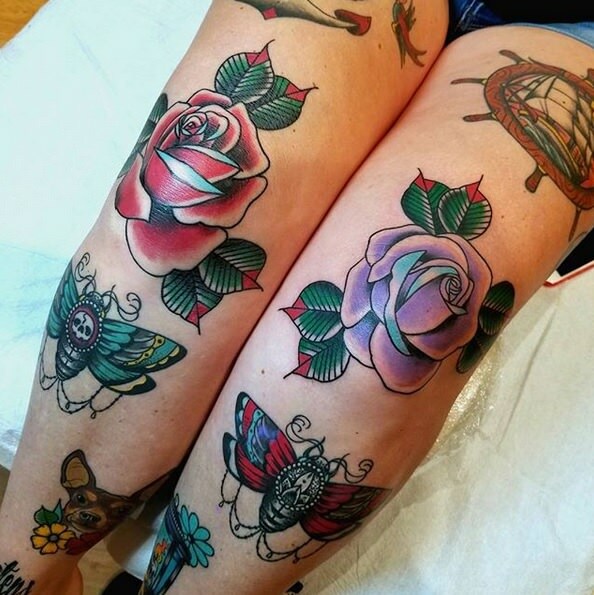 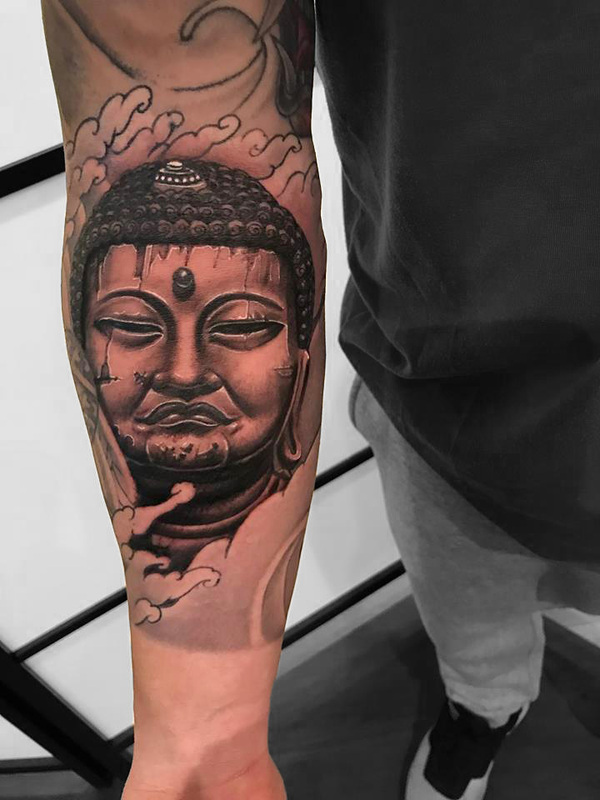 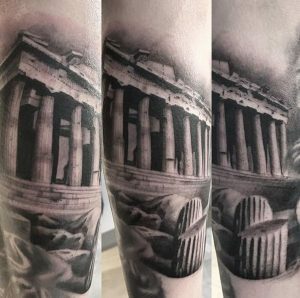 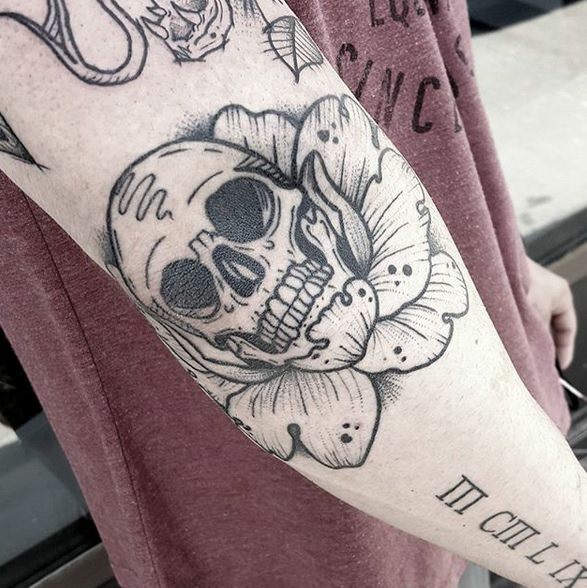 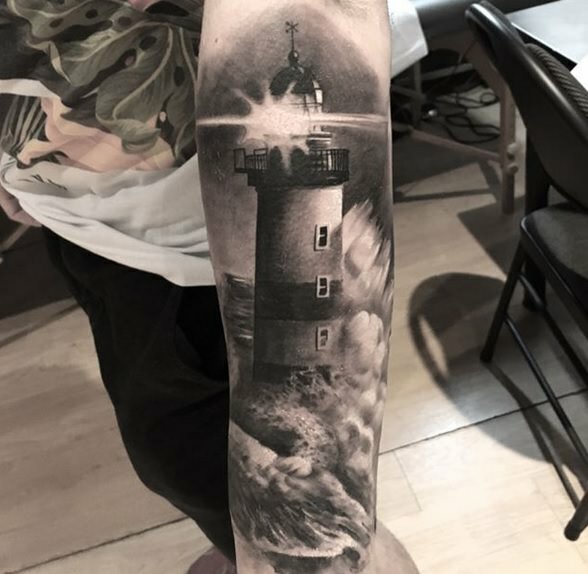 This style of tattooing takes everything from the Old Traditional styles but brings it to another level with a more illustrative side, more realistic shading, more depth and a bigger yet still neutral color pallet. 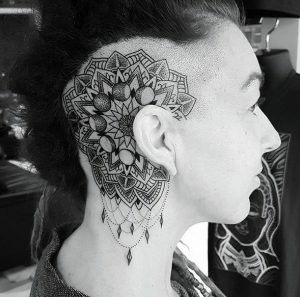 Black work is characterized by the use of bold and black shapes to create various images. 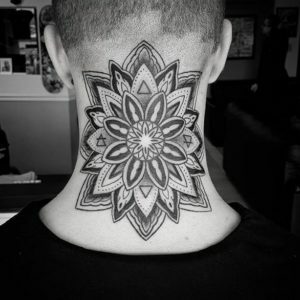 You can make any illustrative designs using this style, such as a silhouette or a sketch. 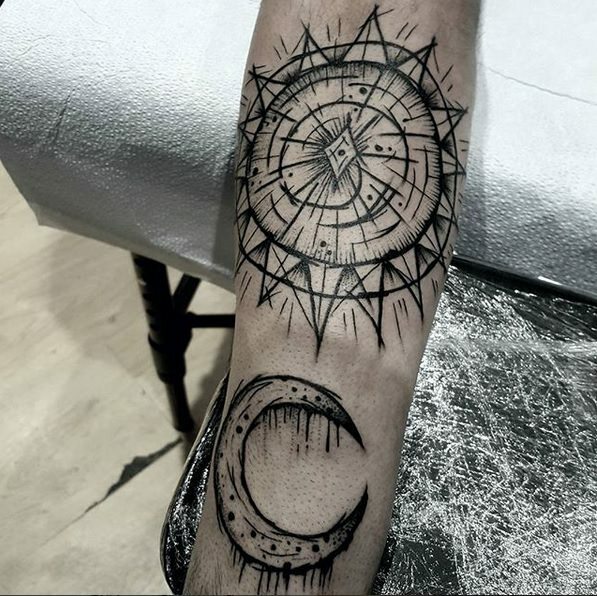 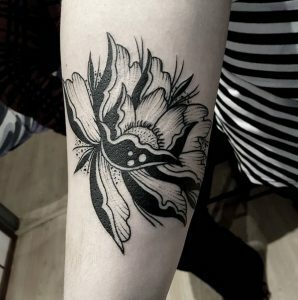 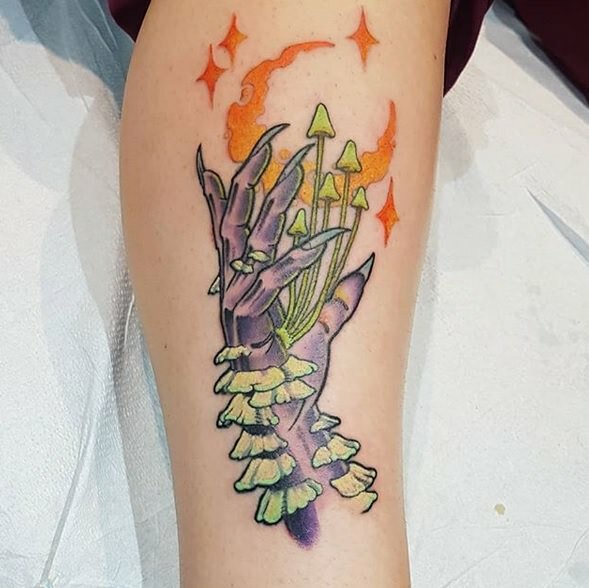 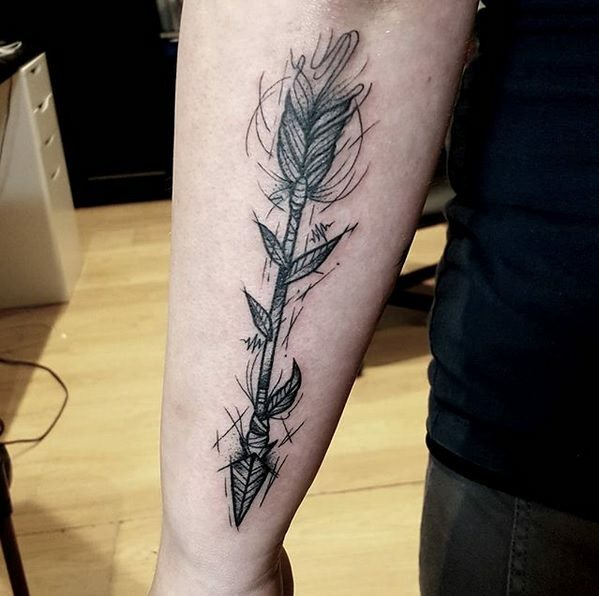 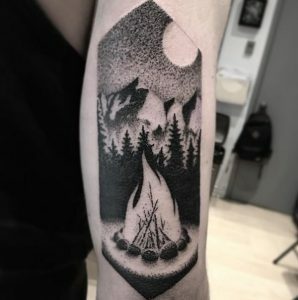 On the scale of Blackwork tattoos, you can go from a simple, black triangle to a full, black arm. 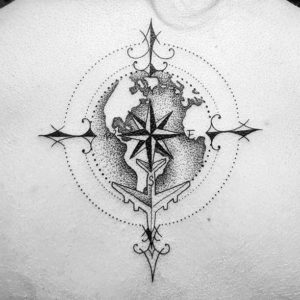 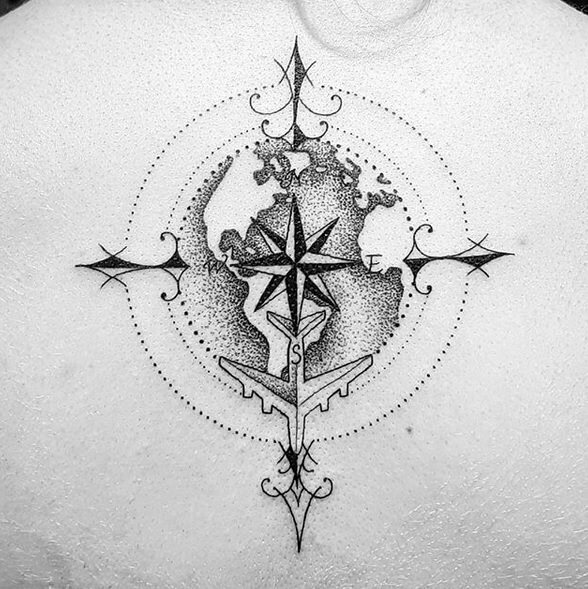 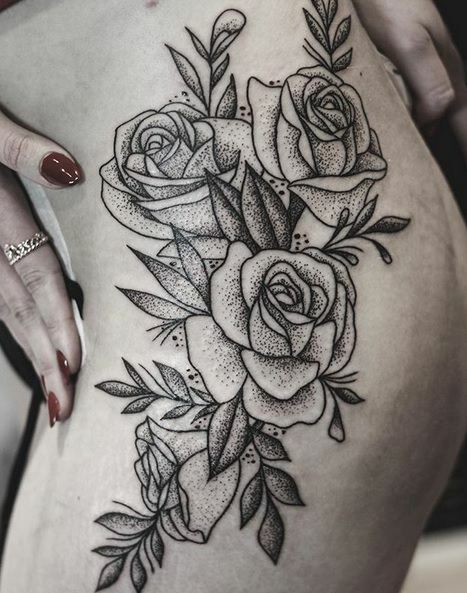 This style is entirely consisted of dots in order to create various designs for your tattoo. 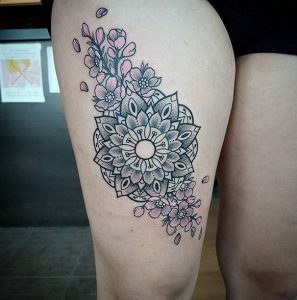 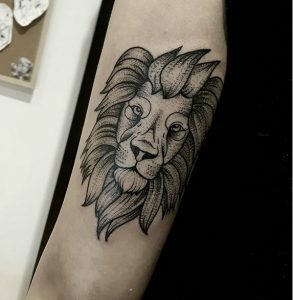 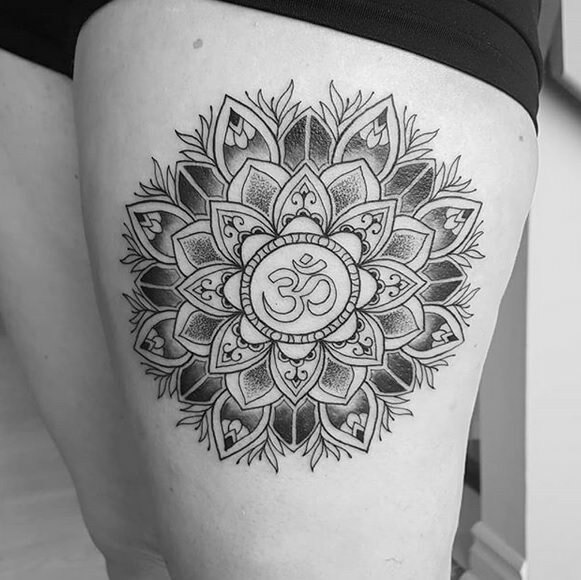 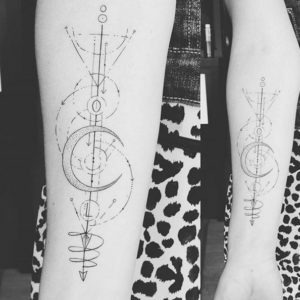 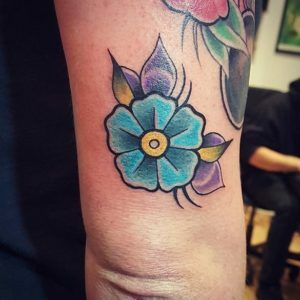 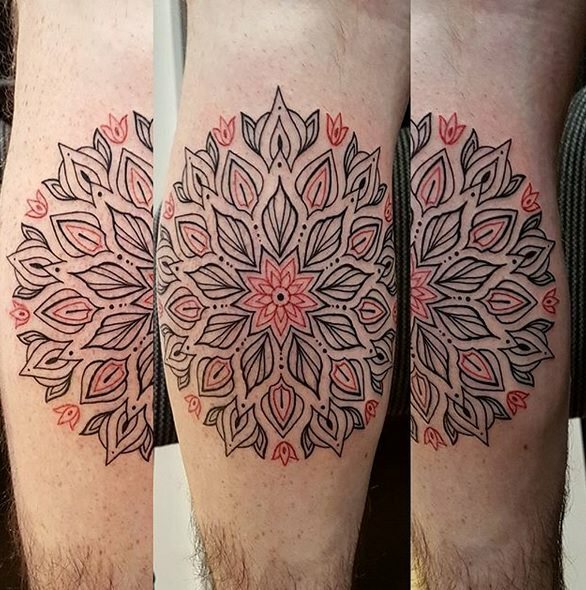 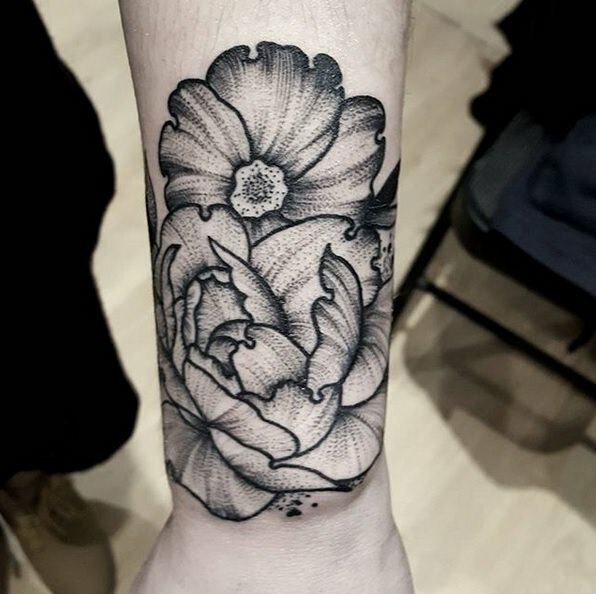 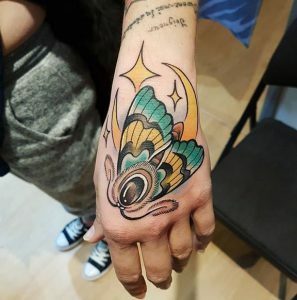 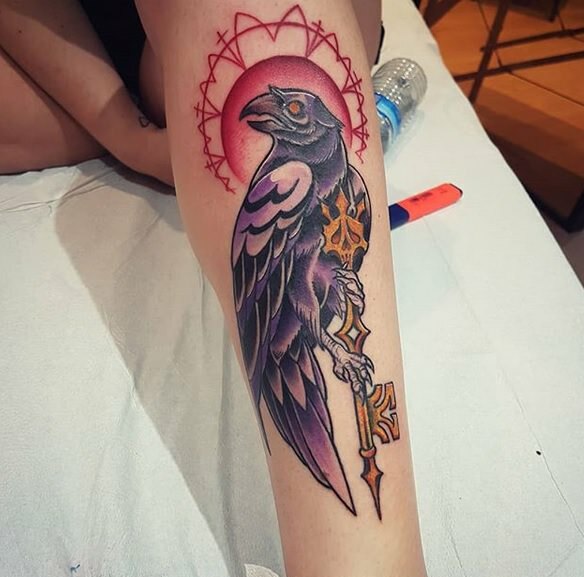 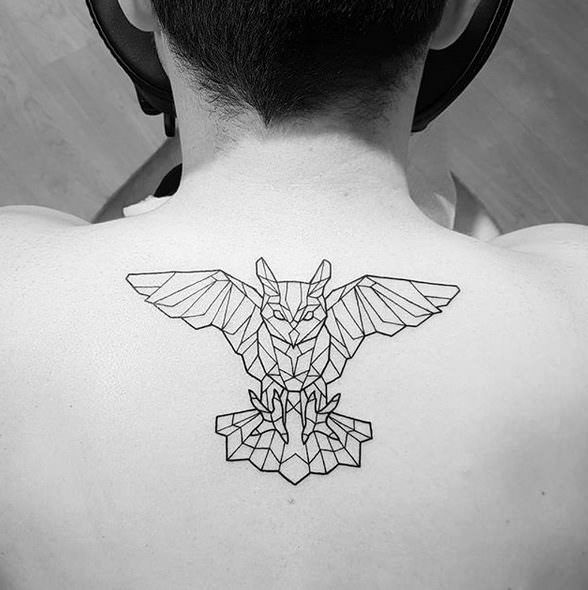 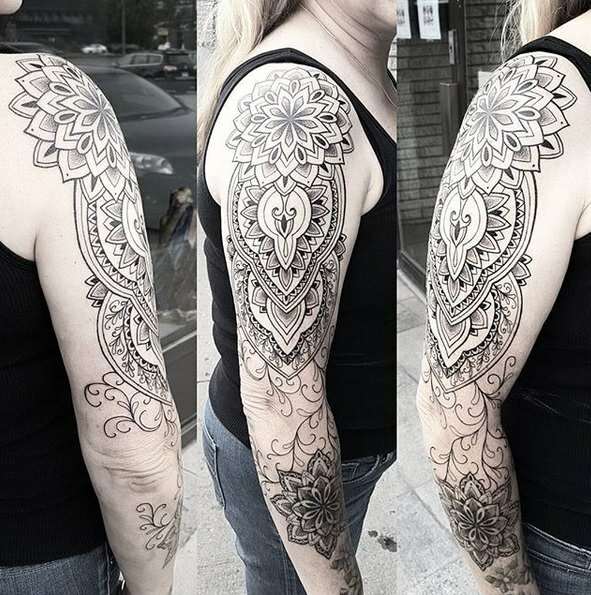 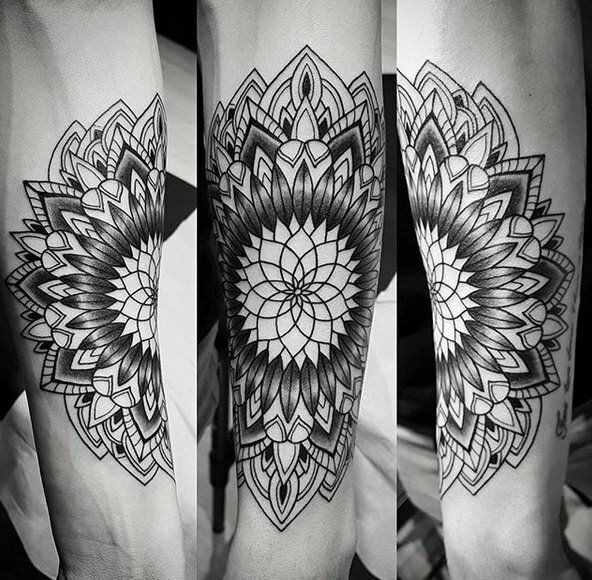 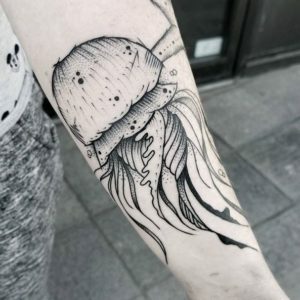 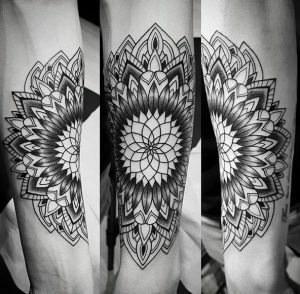 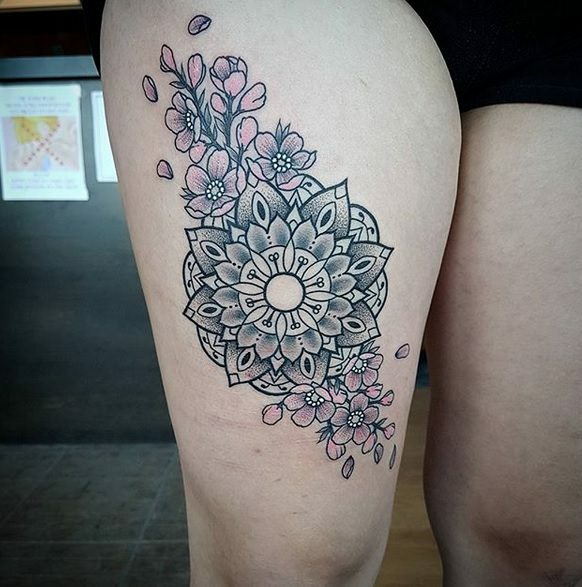 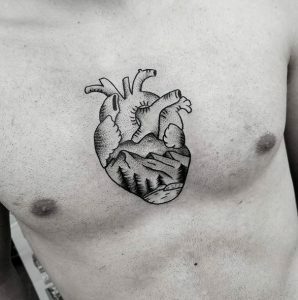 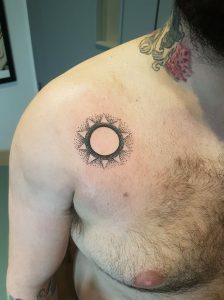 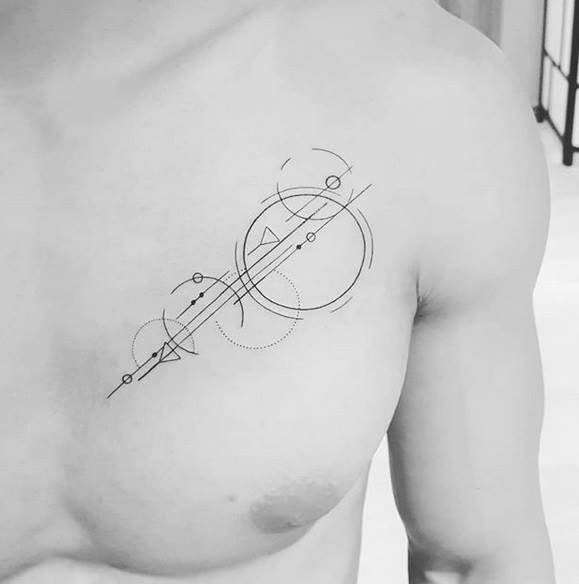 It can be used to create depth for a geometric shape or a mandala tattoo, as long as it can showcase details or add shading in an illustrative image. 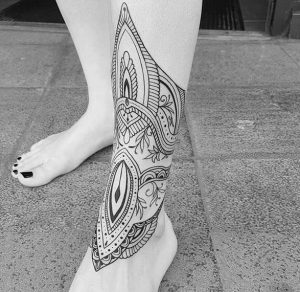 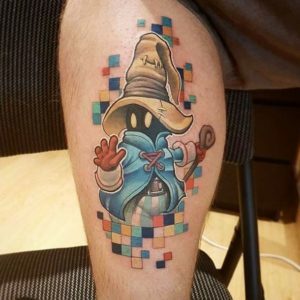 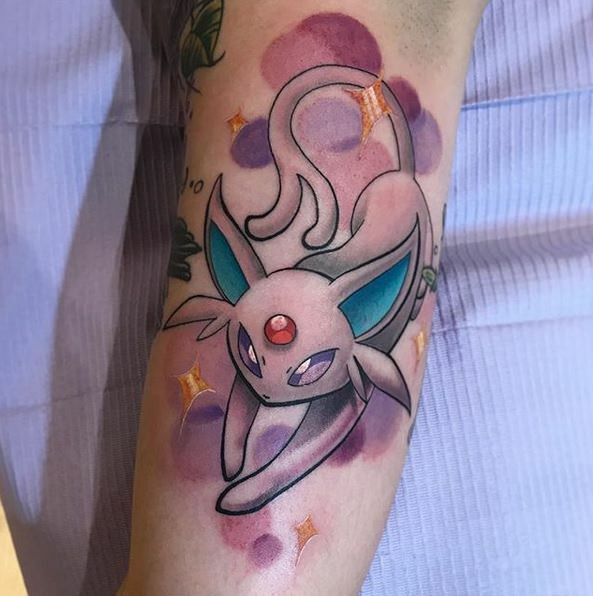 A tattoo doesn’t always have to depict an object or an image. 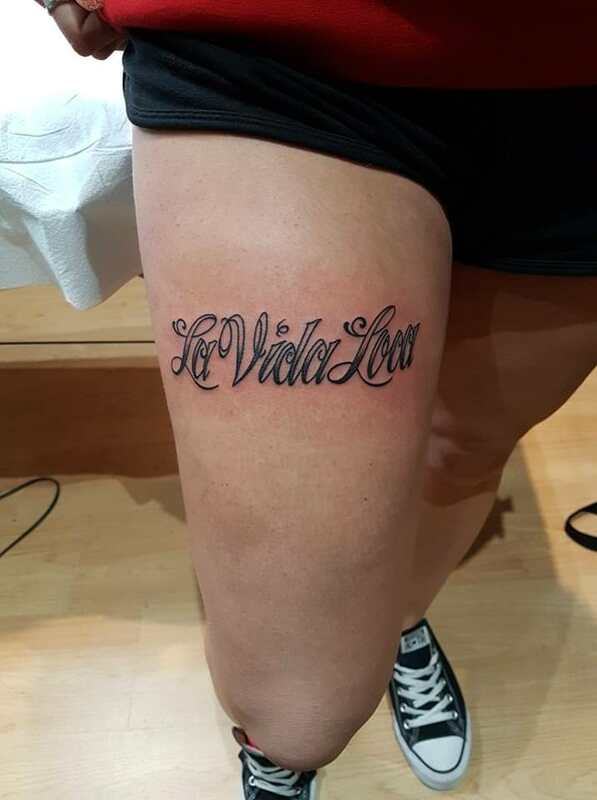 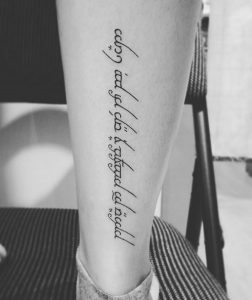 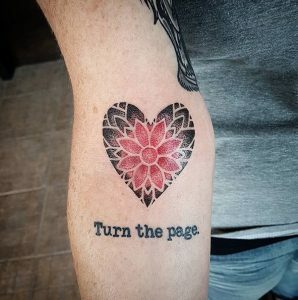 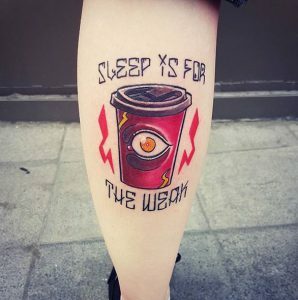 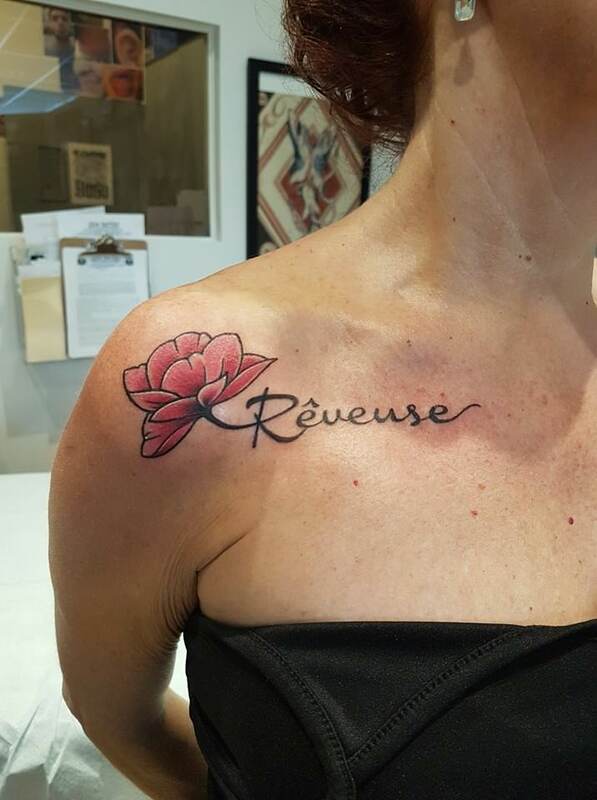 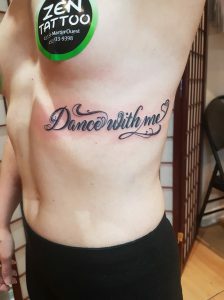 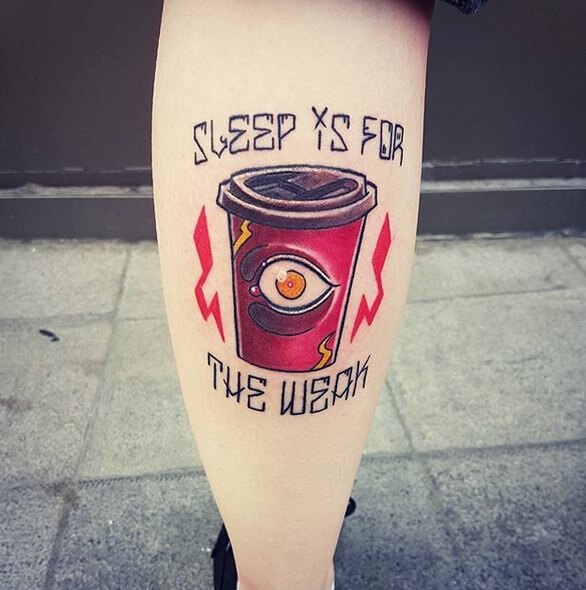 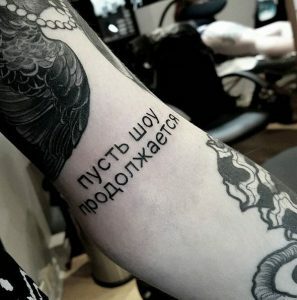 A single word can have a powerful meaning; sentences, initials, dates can also be beautiful tattoos when executed perfectly. 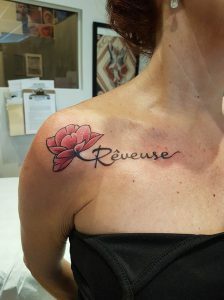 Letterings are also a great add-on to emphasize a picture or a symbol. 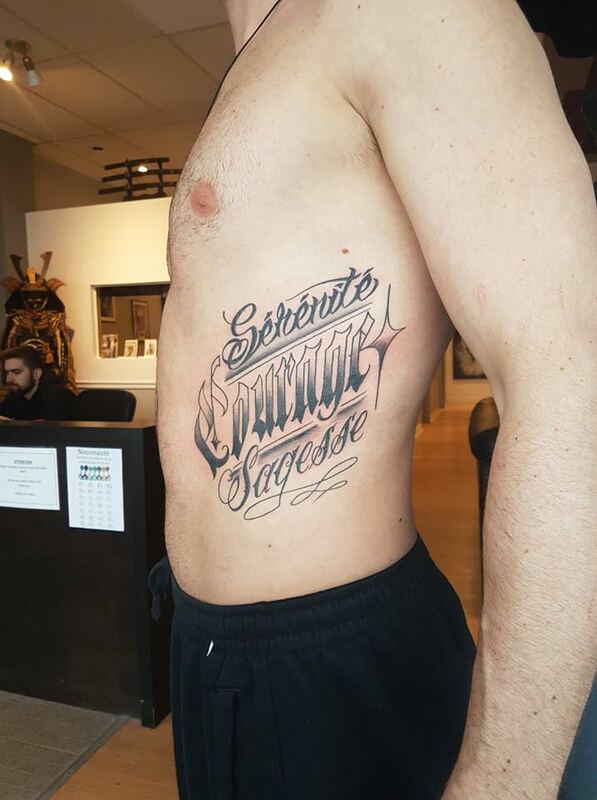 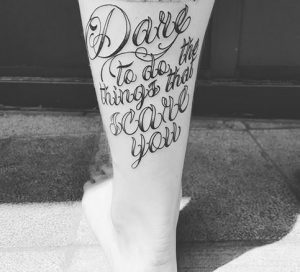 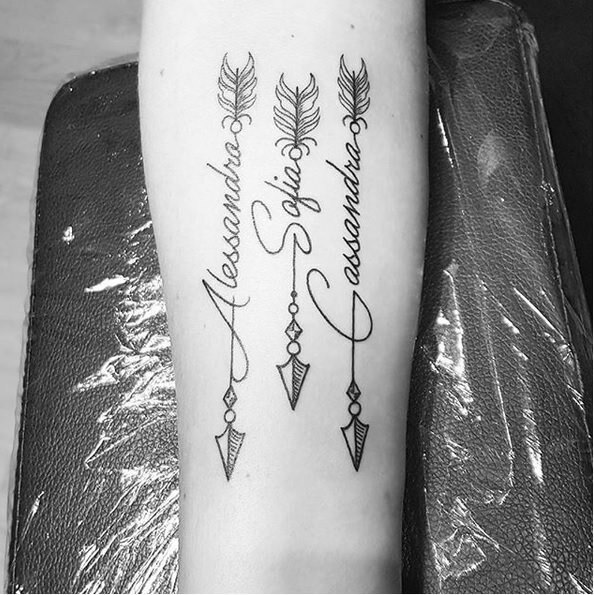 You can go with a classic calligraphy or a custom lettering for a bolder, more unique look. 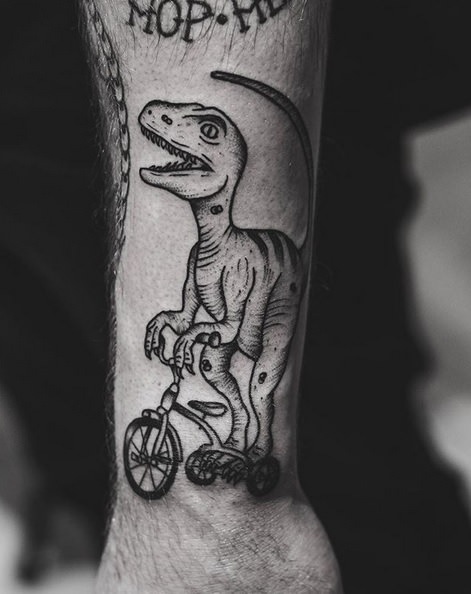 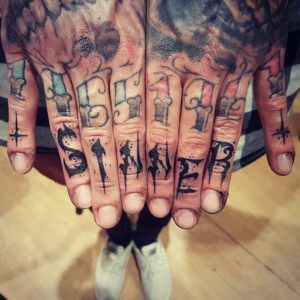 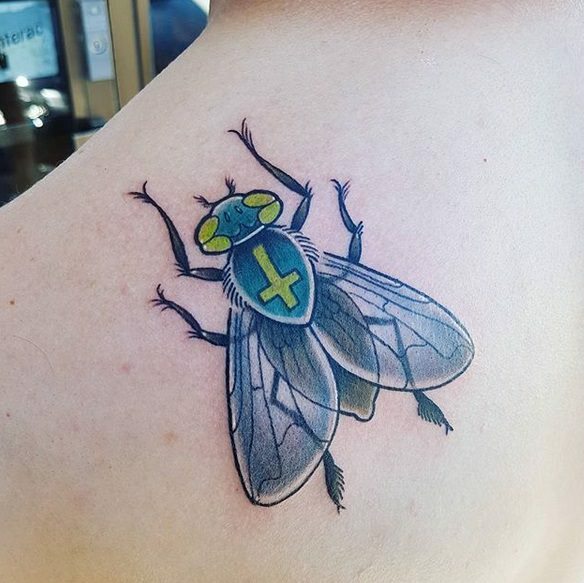 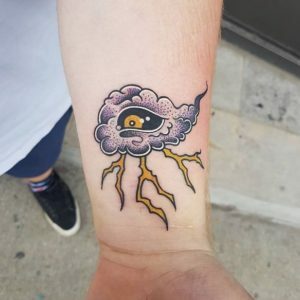 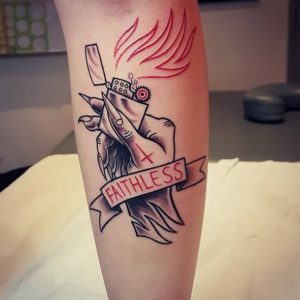 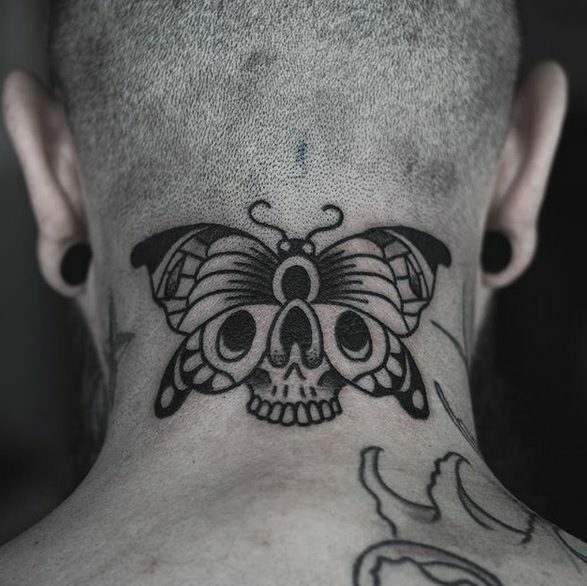 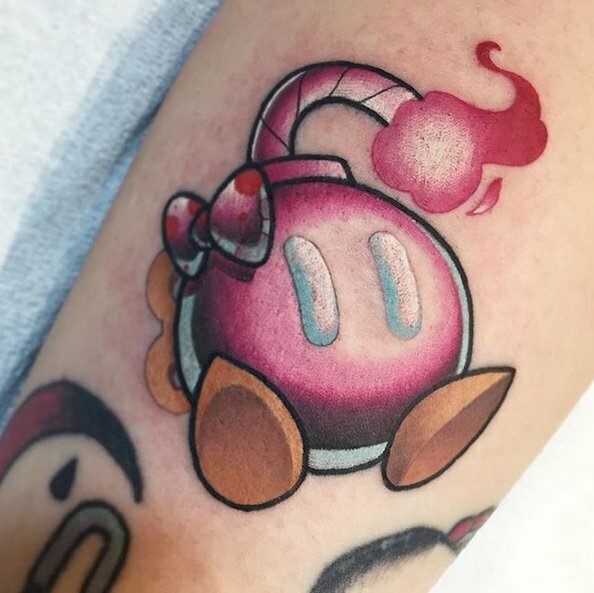 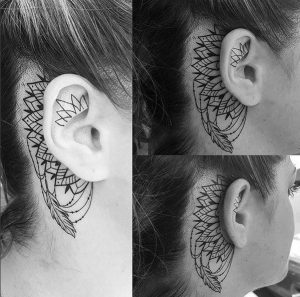 This style is the icon of the tattoo industry. 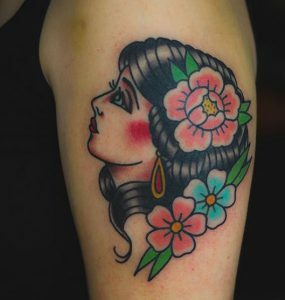 Using black outlines, simple shading and a minimal yet bold color palette, these tattoos give a more “flat” impression on the skin. 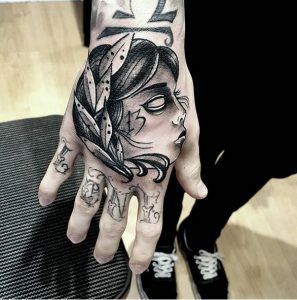 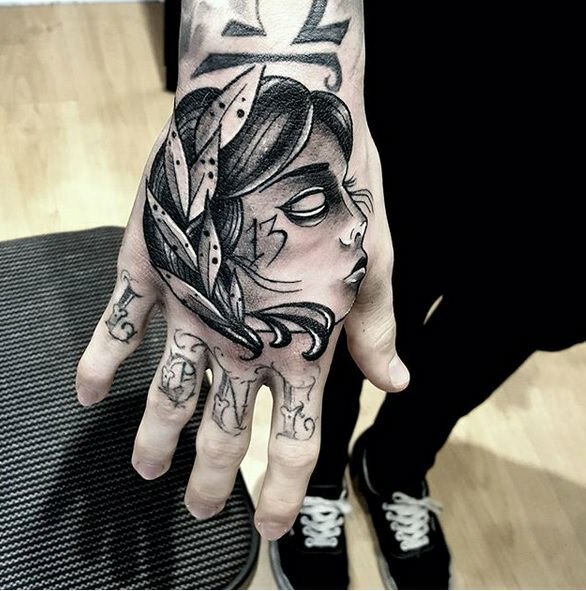 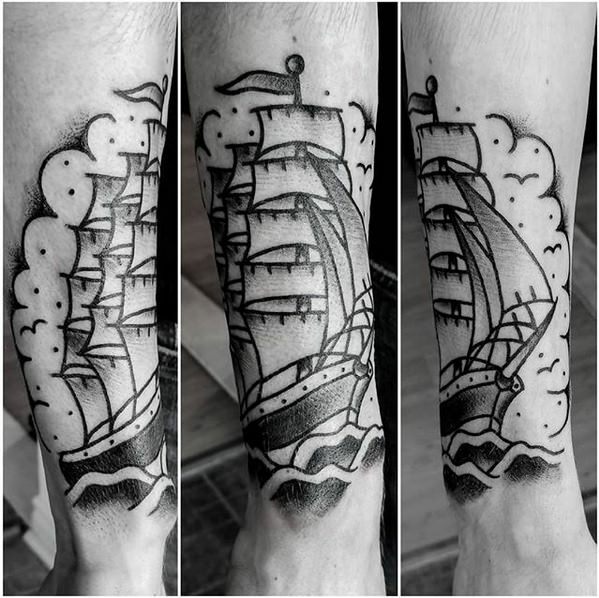 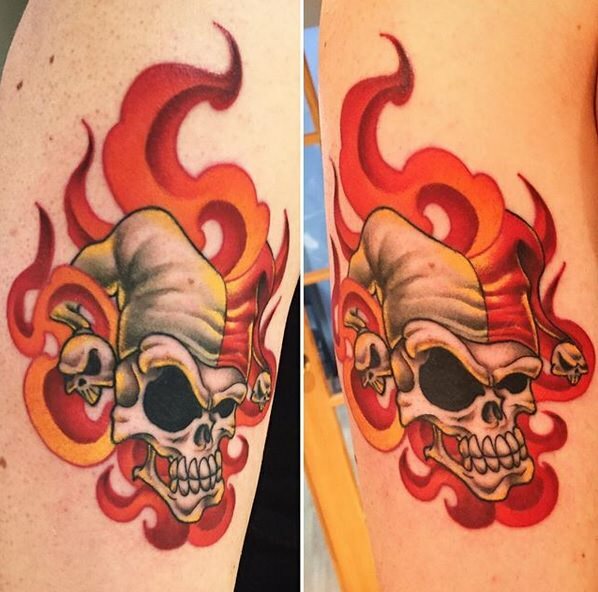 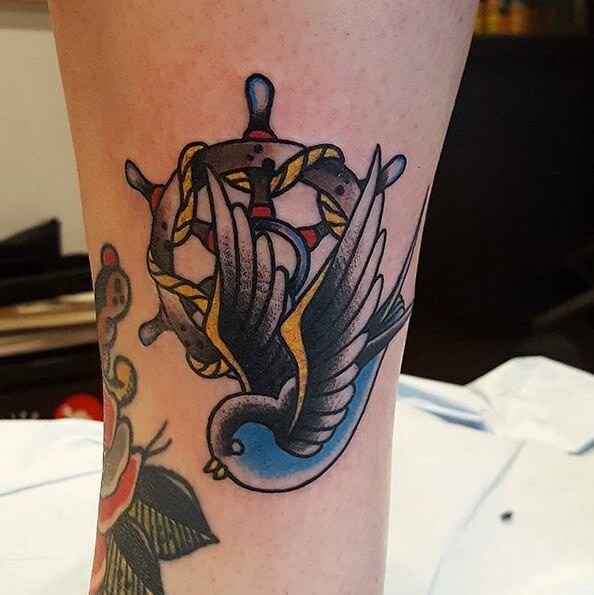 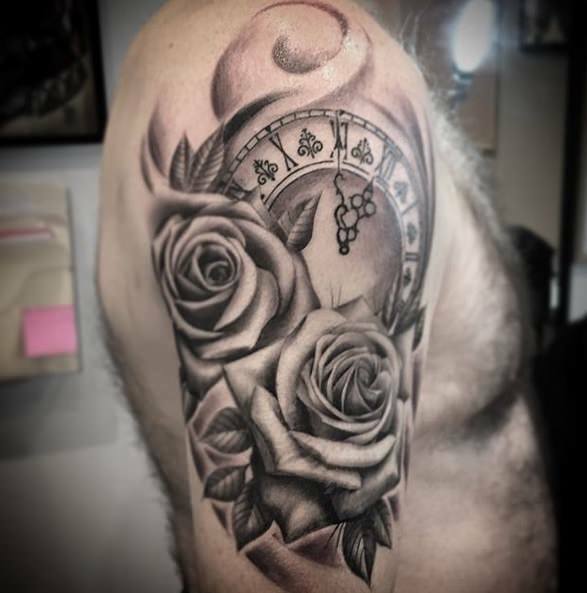 In this category, we often see classics designs, such as swallows, ship anchors, pin-ups, etc. 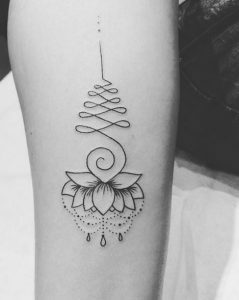 This style uses crisp & black lines, negative spaces and a light color palette to convey a design that’s clean and simple. 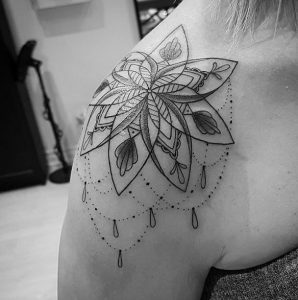 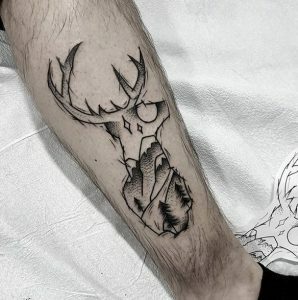 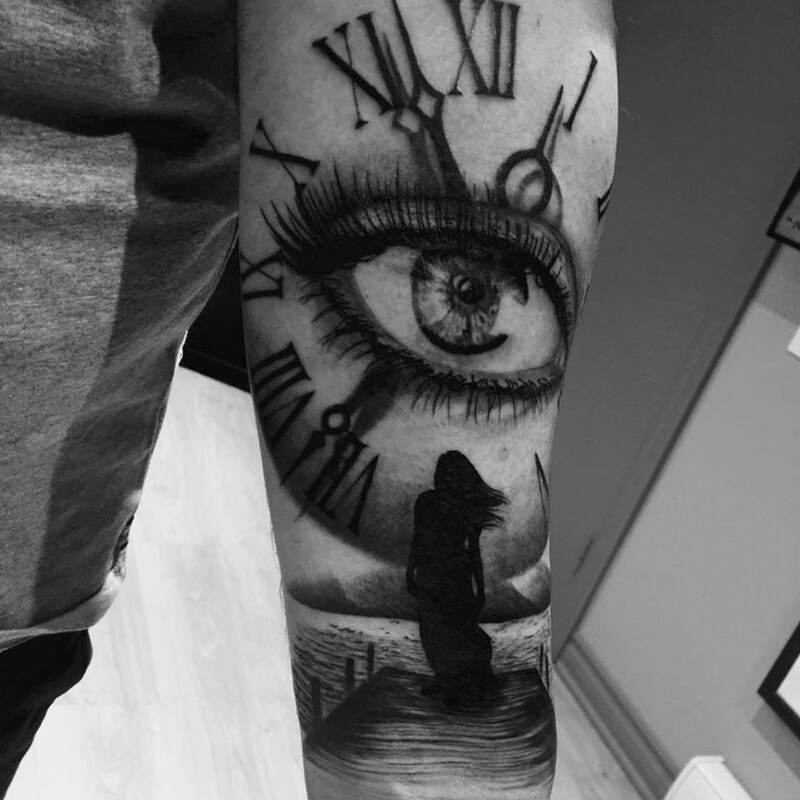 These designs can be big or small, but the tattoo itself has precise single lines that create a clear overall look. We also use this technique to make funky and fun designs. 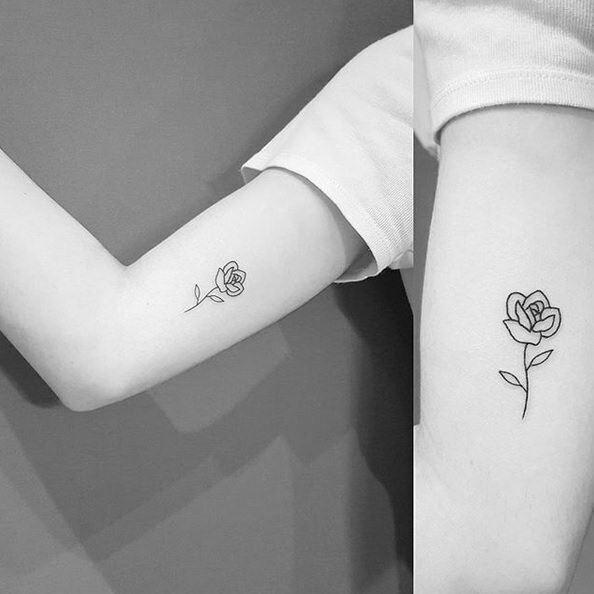 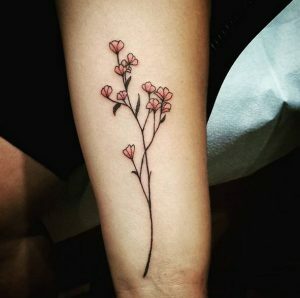 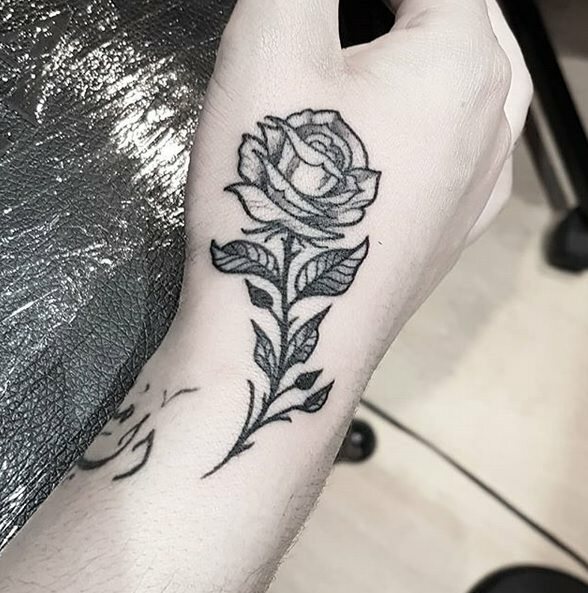 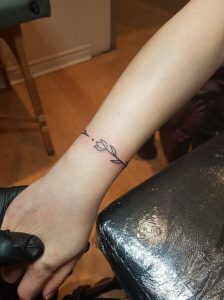 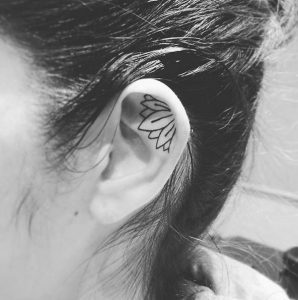 For those who want an elegant, sleek and subtle tattoo, this style is for you! 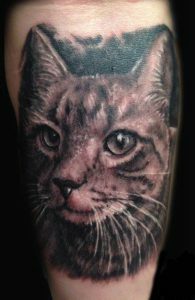 In general, the term realism refers to a piece of work that’s precise, detailed and an accurate representation of a real life imagery. 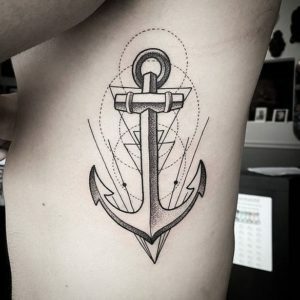 This style focuses heavily on shading more than lining. 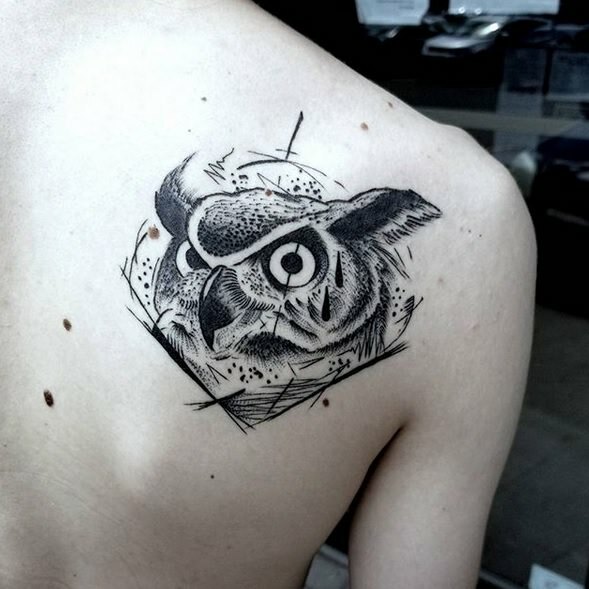 This technique results in tattoos looking like a photograph or realistic 3D objects.